Last night I had the massive honour of being a guest judge for the final of ‘Get Vocal @ The Social’ a vocal talent competition that’s taken the local scene by storm at the MK Social – bar and restaurant in the Theatre District. The final consisted of six acts who had battled through heats and semi-finals for the past ten weeks. Ash & Dave, Euan, Jessica, Laura, Robyn and Kamani. All were there because they are extremely talented and after they had each performed twice I knew that being a judge was not going to be easy. It really was the hardest decision to make as it was such a close competition to decide on a single winner. After much deliberation with the judges, Amanda Devlin, Timfy James, Alan Dugard, Derek Eastman and (me), we came to a conclusion. Robyn won third place, Ash & Dave second and overall winner was Laura. It was an amazing twist in the evening when Alan Dugard, the owner of MK Social and fellow judge surprised all the finalists with a money-can’t-buy-prize. All six of the acts are going to be sent to London to perform for Simon Cowell’s management team at Syco Entertainment. What an opportunity! 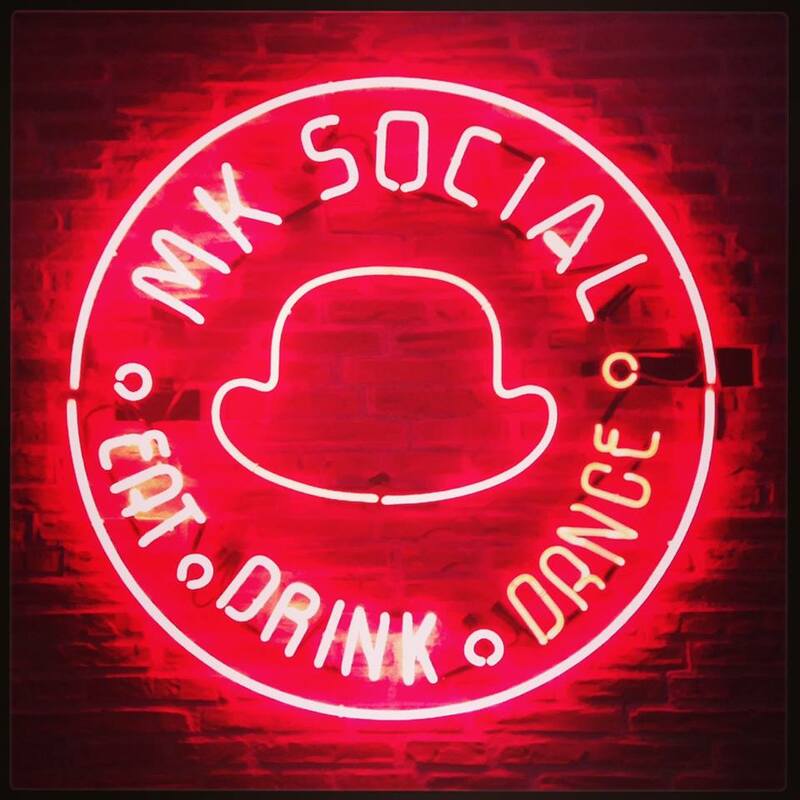 If you haven’t had the chance to visit MK Social or maybe you haven’t heard of it before now, you can find it where Groove nightclub used to be. BUT BUT BUT! I do promise you any memories of that place are since long gone. (No more sticky carpets or creepy blacked out interior) What you will find there is a really beautifully renovated bar/restaurant which has a refreshing feel and is full of unique and quirky décor.